It is our intention to make the process to study abroad as user-friendly and simple as possible. However, it is important that each student follow the process carefully to ensure that your international experience is in good hands. Even before you are ready to study abroad, it is beneficial to create an online study abroad profile so you can communicate with study abroad advisors, get invited to information sessions and presentations, and make the study abroad office aware of your interest in study abroad. This is your listing of application status. Look under the "Online Forms" column. There will be two numbers indicating "0 out of X". 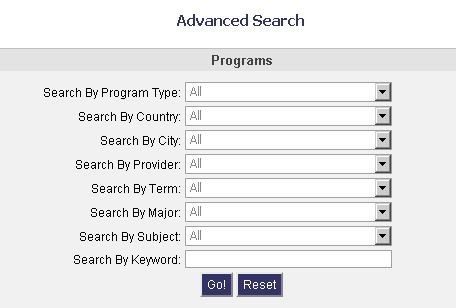 This indicates how many forms are related to that specific application, and how many of those forms you have filled out. 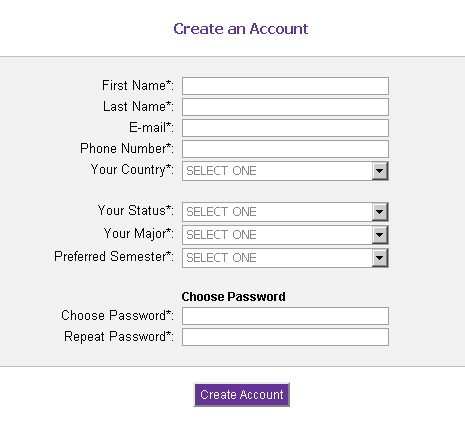 Thus, you need to click on this (0 / X) link and then you will see a list of the forms you need to fill out. Click on the form name and fill in the form(s) completely.